We guarantee the quality of all items! Free shipping with 10 items purchase! The item is HAND PAINTED and has a stamp of the factory on the bottom. Hand wash is recommended. Sculpture Amphitrite average size, made by the Imperial Porcelain Manufactory of bone porcelain. A copy of the sculpture of the Goddess of Justice, presented at the summer garden of St. Petersburg. P. Baratta. Italy. Nach. XVIII century. A large part of the sculptures that adorn the Summer garden, executed by Italian masters of the late XVII - early XVIII centuries and delivered to St. Petersburg soon after its Foundation the Summer garden. Already in 1710 in the garden, there were about thirty of statues and busts. The history of Imperial porcelain factory is inseparably linked with history of Russia, and its production – the Russian art porcelain – is presented in collections of the largest museums of the world. The imperial porcelain factory founded in 1744 in St. Petersburg under the decree of the daughter of Peter the Great empress Elizabeth became the first porcelain enterprise in Russia and the third in Europe. It is here where the talented Russian scientist D.I.Vinogradov (1720–1758) discovered a secret of production of "white gold". Products of Imperial porcelain factory which are created by artists of top-class, strike with the beauty and refinement of judges from around the world here already nearly three hundred years, being an embodiment of beauty, elegance and a delicate taste. Imperial porcelain is a symbol of refinement and luxury of your house, reflection of your unique style. It decorates interiors of houses of persons, whose taste doesn't raise doubts. Among them – the former first lady of the USA Laura Bush, the former first lady of Brazil Marisa Letisija Lula da Silva, the queen of Malaysia Tengku Fauziya Abdoul Rasheed, the first lady of Mexico Marta Sakhagun. Director Valery Fokin, well-known performers Elena Obraztsova, Mireille Mathieu and many other famous people. Note: If you are trying to find a certain item of Imperial (Lomonosov) porcelain factory but can't find it at our store, please, contact us and we will help you to find it. Some details of decor are hand-painted so they can differ in colors as they are done by different masters. We are ready to answer all your questions. Thank you for your interest! Have a nice day! 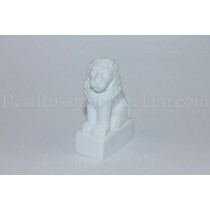 The author of the form: Belova-Weber O. G.
Best Russian Porcelain Company is a large web-store of goods produced in Russia for worldwide trade. Our company is over 5 years old and during this time our staff gained invaluable experience that allows us to fulfill our commitments quickly and qualitatively. Most of our online shop products are fragile items which are packed carefully and shipped to you. We are responsible for your order and guarantee its completeness during delivery, so you don’t have to worry about its safety while shipping.